From Templetuohy to Prospect Cottage. 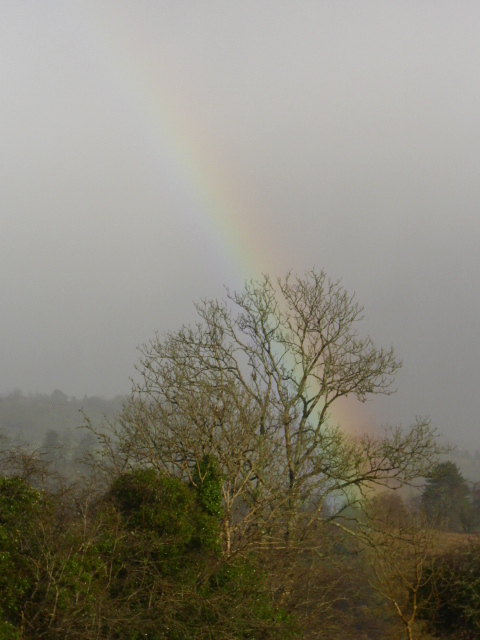 Templetuohy in north Tipperary is the village I come from. Driving back home to Arigna on Tuesday took about 3 hours as usual. There are places and landmarks along the way that mark the journey. Athlone is the half way mark, another hour and a half to the familiar comfort of the warm welcoming kitchen, the cup of tea, the welcoming dogs, the loving welcome, at both ends of the journey. Lizzie (my Mother) is a gardener too. Unlike me she would not describe herself as a gardener. I always remember a vegetable garden, not from any idea of saving the planet but from economic necessity when we were children and money was scarce. Old habits die hard, 75 next birthday, 2 hip replacements and still there is a garden. 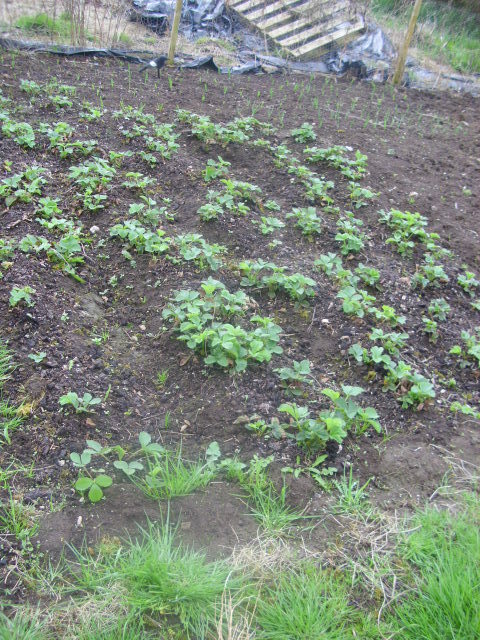 The strawberry bed above, weeded and already with budding flowers will supply lots of fruit for jam, desserts and just enjoying fresh off the plant. The weekend desserts were strawberries and raspberries from the freezer, the last of 2010s crop. 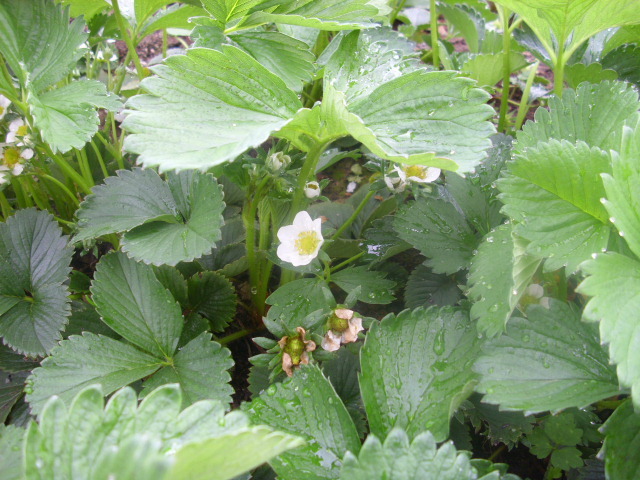 In the polytunnel there are lots of flowers on the early strawberries. 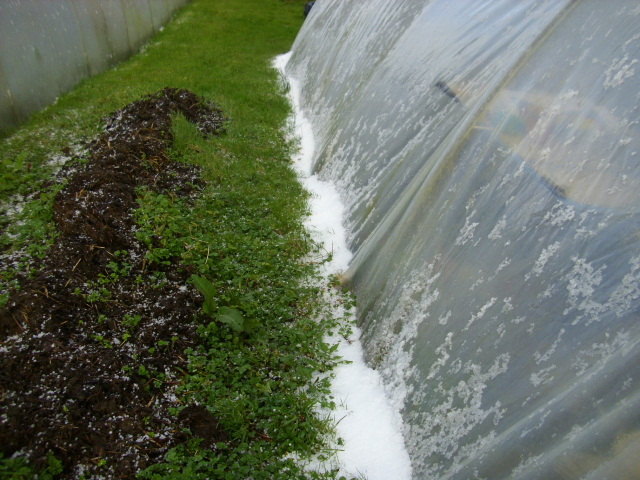 These first fruits of the season will be relished with joy. Anticipation already building for the children. 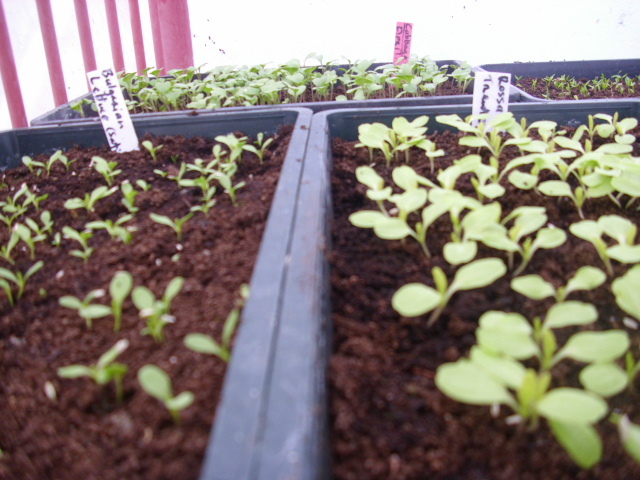 All sorts of receptacles are used for planting seeds into. 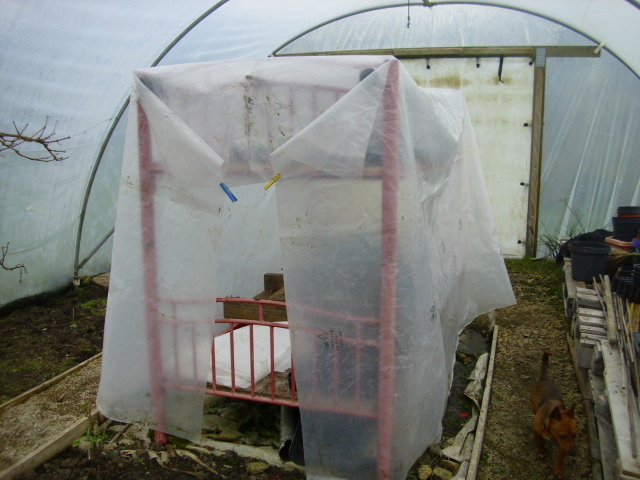 Old biscuit tins, plastic containers are all saved and reused in the garden. 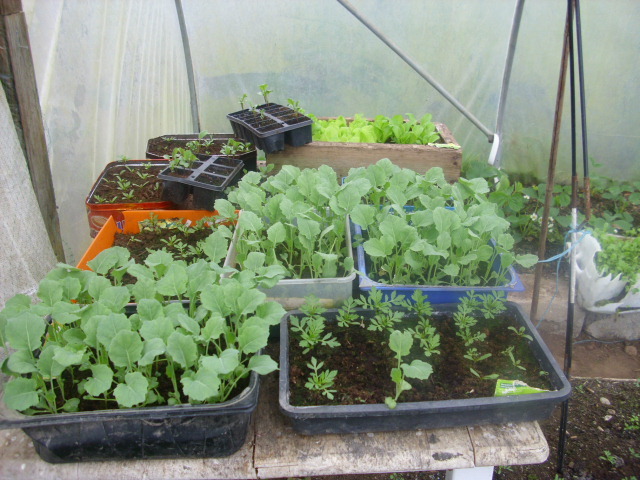 Cabbage, broccoli and cauliflower are all grown from seed. 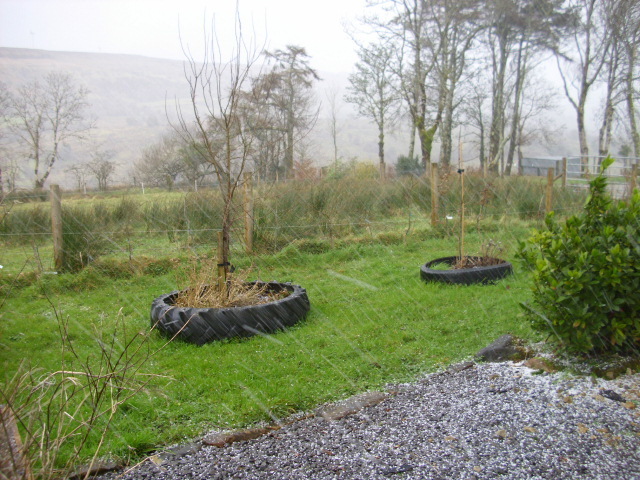 There will be enough plants here for my brother’s garden too. One of my favourite landmarks on the journey is this magnificient bronze sculpture. 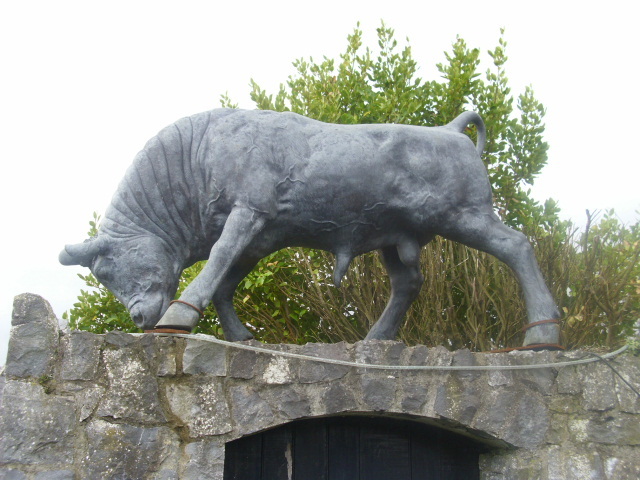 The Black Bull stands atop a stone wall beside the pub of the same name about 10 miles from Roscrea. A real attention grabber, I love it! I want one for the garden!